New. Still Sealed in Plastic. Never used! Buy with confidence-Satisfaction Guaranteed! Newman. Very Good. In very good packaging. 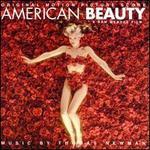 Newman, Thomas-American Beauty by Newman, Thomas.